Eyes and Brain – Eating fish that is rich in omega 3 fatty acids improves the health of your brain tissue and the retina of your eyes. Depression – A good fish diet on a regular basis helps to lower occurrences of depression; experts say that depression has a strong link to low levels of omega 3 fatty acids in the brain. Good vision – Babies who are breastfed by mothers who eat fish have been seen to have better eyesight; this is most likely attributable to the omega 3 fatty acids transmitted to baby through mother’s breast milk. 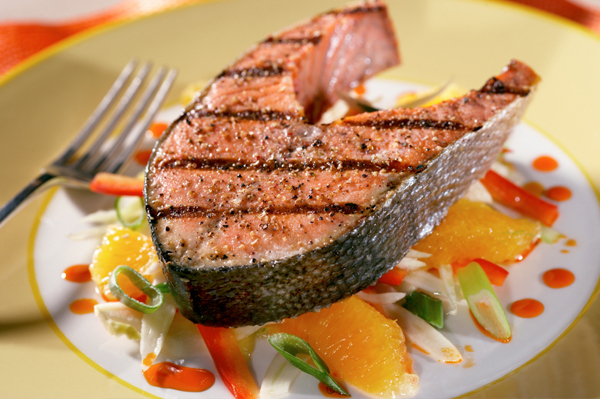 Asthma prevention - Children who consume fish are also less likely to develop asthma. 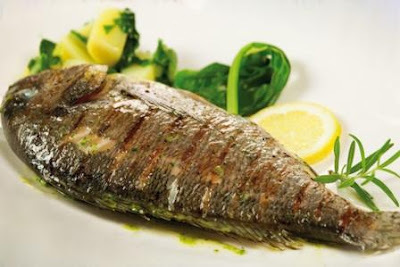 Cancer prevention and care – Research has over the years proven that eating fish (that contains omega 3 fatty acids) helps to curtail the risk of many types of cancers by as much as 30 – 50 per cent, especially cancer of the mouth, colon, breast, oesophagus, prostate and ovary. Dementia – Dementia and Alzheimer's disease are hardly developed in the elderly who consume fish or seafood at least once in a week. Diabetes – Eating fish also helps people with diabetes in maintaining healthy blood sugar levels. Inflammatory conditions - The symptoms of rheumatoid arthritis, psoriasis and autoimmune diseases may be well alleviated when you indulge in a regular habit of fish consumption. According to a clinical nutritionist of the Mayo Clinic, Dr. Jennifer Nelson, you are required to “Eat fish and other foods that contain omega-3 fats” in order to adequately prevent or deal with these conditions. Prevent premature birth – If an expectant mother eats fish during pregnancy, research findings prove that it may help decrease the risk of giving birth to a premature baby. There are however, various healthy ways to prepare and enjoy your fish; they include baking, poaching, grilling and steaming. Bottom line is - so many people especially Nigerians, do not get to benefit maximally from their fish meals because many of us are used to deep frying their fish, and this is unhealthy.